299 foreigners have been removed from the voter’s register, says INEC – Royal Times of Nigeria. 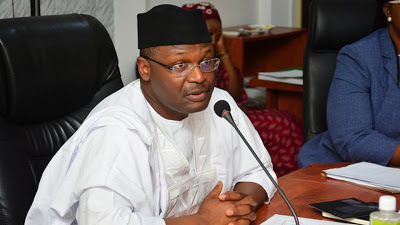 INEC chairman, Prof. Mahmood Yakubu has disclosed that 299 foreigners who registered to vote have been deleted from the voter’s register based on information obtained from the Nigeria Immigration Service. He made this known at the regular quarterly consultative meeting with security agencies, under the auspices of the inter-agency consultative committee on election security. “As we prepare for the 2019 general elections, the security agencies have a role to play, beyond providing security on the election day. As we are all aware, INEC has embarked upon the nationwide Continuous Voter Registration exercise. “For the commission, this is the most important preparatory exercise before the general elections. We are aware of the challenges faced by the citizens in some centres and we have been responding within the limits of available resources.